There are many things that Alice is not allowed to do because of the monsters her father is always talking about. She doesn’t believe in the monsters, until a tragic accident leads her to believe otherwise. The accident left Alice an orphan and she is sent to live with her grandparents. At first Alice isn’t quiet sure of what she saw at the accident. She has to keep it to herself so others don’t think that she is crazy. Once she meets Cole and gets to know him a little, she finds someone else that believes in these monsters. Then the adventures begin. She has to learn to live with herself as a person for the choices she has made in life. She also has to learn about the world she lives in that she previously thought wasn’t real. 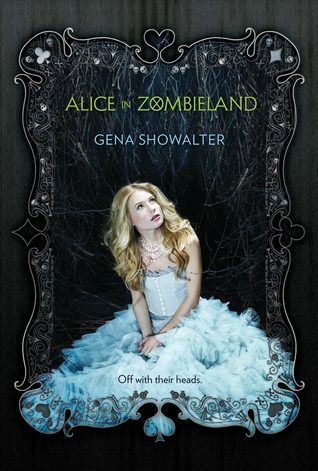 I really enjoyed reading Alice in Zombieland. Based on the title I was thinking it would be a mix of Alice in Wonderland and zombies. Although it wasn’t, I am glad that I read it!